We provide rapid prototyping and development services for Virtual Reality, Augmented Reality, Mixed Reality and 360 VR Video, recently grouped together as Extended Reality or XR*. 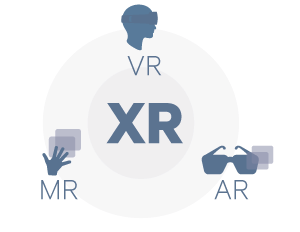 *XR is a superset which includes the entire spectrum from “the complete real” to “the complete virtual” in the concept of reality-virtuality continuum. Our team can build for the entire range of XR devices including Oculus Rift, HTC Vive, Mobile VR and Microsoft HoloLens. Our team develops solutions with Unity and Unreal, for multiple XR platforms including 360 video with resolutions up to a staggering 8k resolution and live 4k 360 broadcasts. We create interactive XR solutions and applications that captivate and engage. When you ask us to create or turn your business idea into XR, our experienced consultancy and development teams will guide and collaborate with you every step of the way to develop award-winning immersive projects. 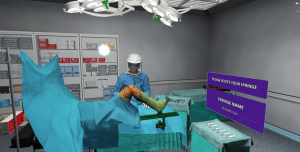 From conception through to delivery, we offer user-centric, custom-built solutions that are tailored to take advantage of the unique properties of VR/AR/XR. Things don’t stop there, we can also support you to launch, distribute, scale and maintain your new experience or product. We are actively working on a range of XR solutions and interactive 360 Video formats for corporate training, product development and marketing campaigns to solve business problems across all sectors. Please contact us at hello@realitiescentre.com to discuss how we can create a bespoke package to solve your unique challenges and gain competitive advantage through XR.